If it is large and rotates‚ it most certainly needs a pumped lubrication system. Pumps and engineered systems that supply lubrication oil to rotating equipment generally operate 24/7 making reliability of paramount importance. On a typical lubrication oil skid‚ there are generally three pumps‚ a primary‚ a standby and an emergency backup pump. You may also find a seal oil pump included for the hydrogen cooled generators. These pumps and engineered system supply lubrication oil to the main journal bearings‚ generator bearings‚ reducing gear‚ accessory gear‚ high pressure hydraulic oil and generator seal oil. 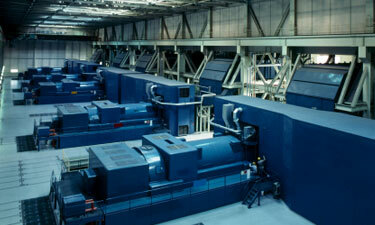 The required flow rates depend on the size of the rotating equipment. In large steam and gas turbine applications flow rates as high as 2‚500GPM are required vs. stationary diesel applications where less than 500GPM required. Users may have a choice between centrifugal and three screw pumps in these applications and there are trade offs between the technologies that engineers should be aware of. Centrifugal pumps typically have a lower initial cost; however‚ three screw pumps have a lower life cycle cost when you factor in operating efficiency and thus energy costs and maintenance costs. 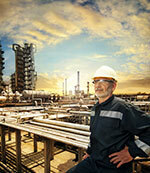 CIRCOR also produces complete lubrication engineered systems for rotating equipment throughout the power plant. 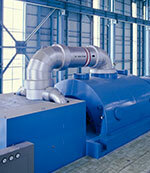 These applications include turbine‚ boiler feed‚ condensate‚ and recirculation pumps. 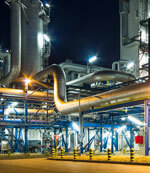 CIRCOR provides optimal pump technologies with three screw‚ two screw and centrifugal pumps.